Target LPNs & Registered Nurses with Nurse Lists from ProMarketing Leads. ProMarketing Leads knows that the field of nursing has one of the largest groups of qualified professionals in the nation, in one of the most important, and growing, industries. With our highly accurate nurse lists, we make it much easier to connect with this group of eager and receptive LPN and RN medical professionals. Our lists will enable you to reach out to nurses both by mail and by email. What Makes Nurse Lists From ProMarketing Leads so Effective? Our lists are updated regularly and compiled from licensing organizations, among other sources. 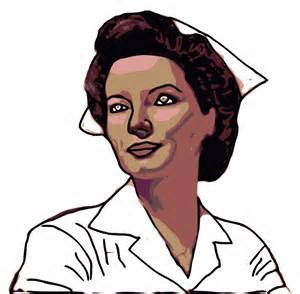 Nurses are excellent targets for medical product and services companies. First and foremost, it’s important to realize that licensed practical nurses and registered nurse practitioners are often the most reachable decision makers within the field of medical services. With this in mind, and because there are so many different niche nursing specialties that we can help you reach with our data-rich nurse lists, ProMarketing Leads is ready to help you drive conversions like never before. As a full-service marketing list broker, ProMarketing Leads has direct access to the best-converting nurse lists available in the industry. If we don’t have the exact LPN or RN mailing list, telemarketing list, or email marketing lists , our expert direct marketing consultants will be pleased to custom produce it for you. Our nurses lists are highly targeted ad up to date assuring maximum ROI on your marketig campaign efforts. We’re ready to help you acquire the best list of licensed practical nurse or registered nurse mailing lists available today. Call today toll free at (866) 397-2772 to learn more or contact a friendly service rep today using our online contact form.